Zune HD Coming In September? 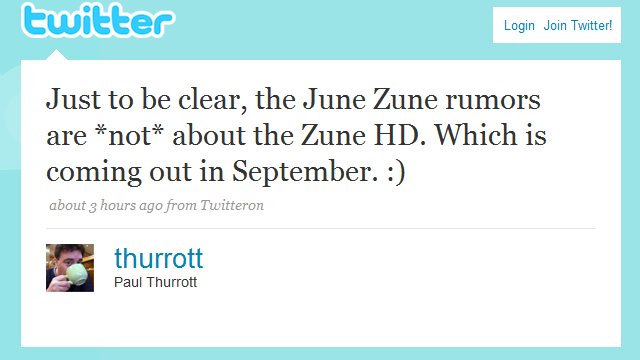 Paul Thurrott, a guy who should know, says the Zune HD is coming to us this September. NeoWin backs this up, saying Amazon will ship the device in September. Remember that this is all vapor until the device is in your hands, so take everything here with a healthy helping of salt. Check out our other coverage of Zune HD (including rumors of an international launch and Tegra graphics) to see what all this Zune HD hooplah is all about.